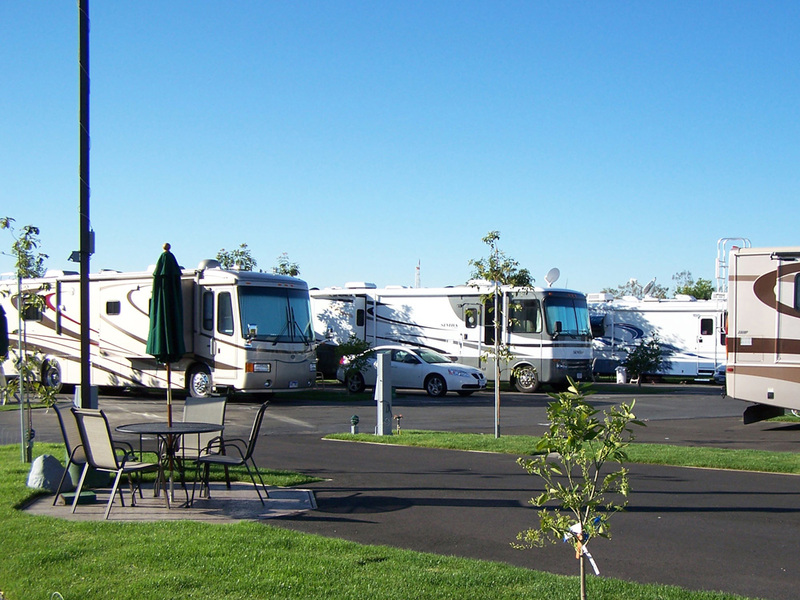 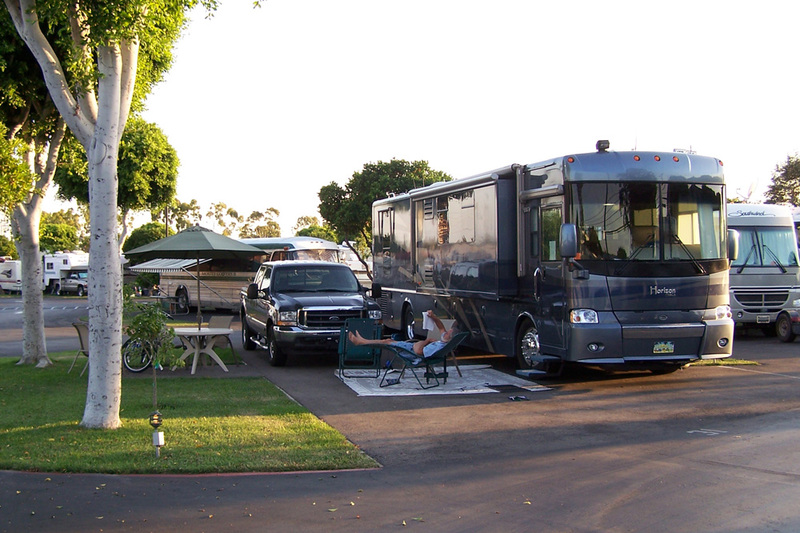 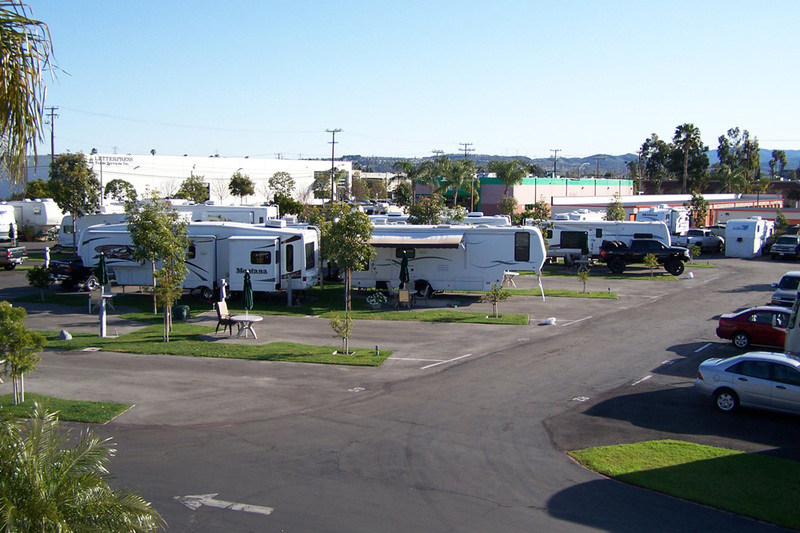 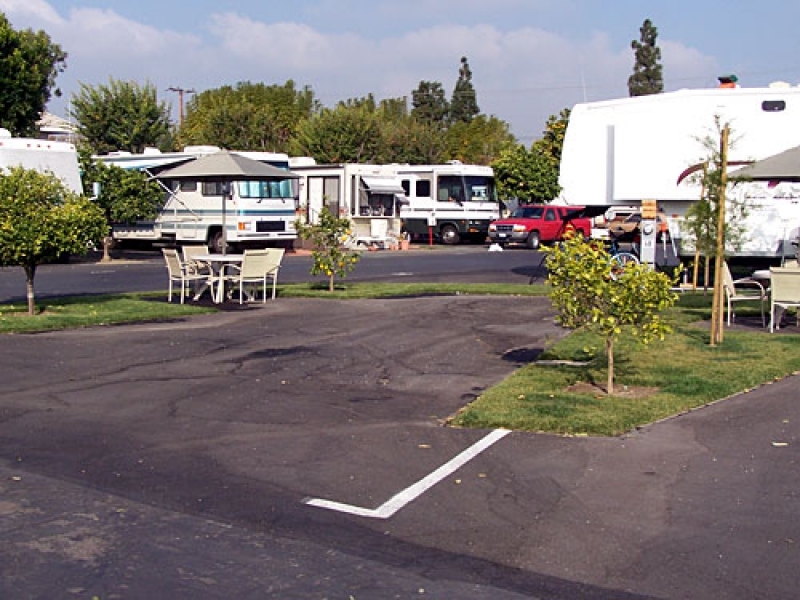 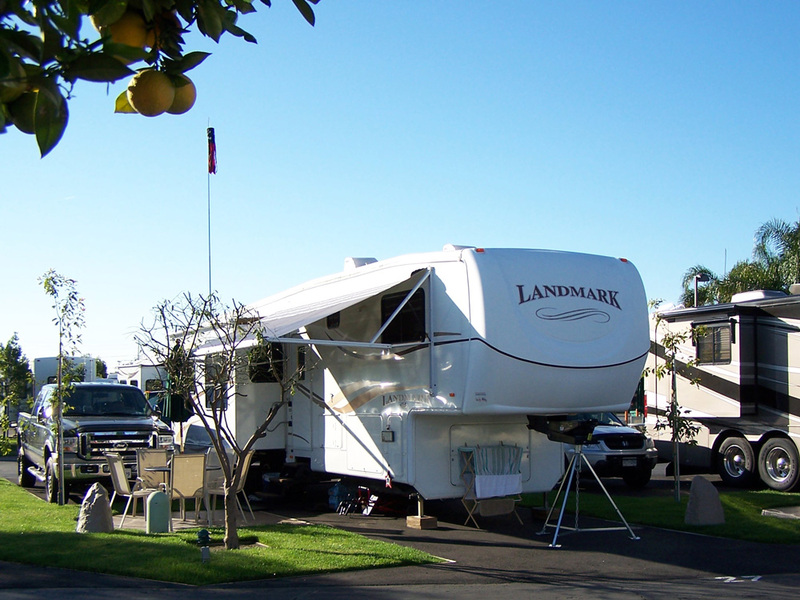 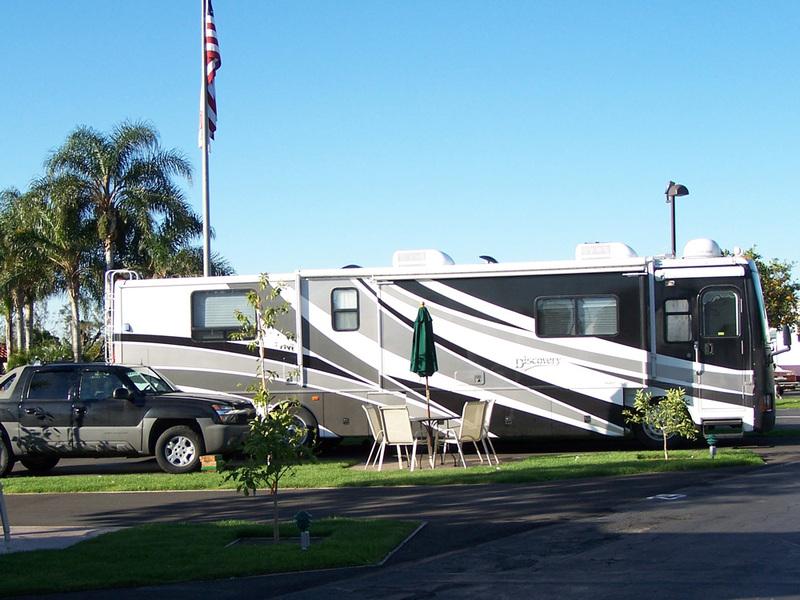 Orangeland RV Park offers a selection of RV sites to accommodate your self-contained* recreational vehicle during your stay in southern California. 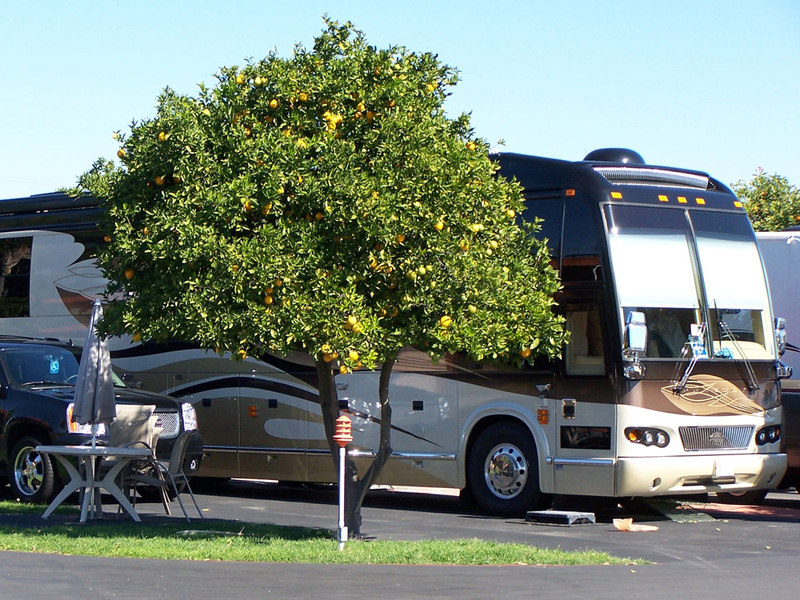 Many of the sites have an orange tree—you can pick our oranges when in season. 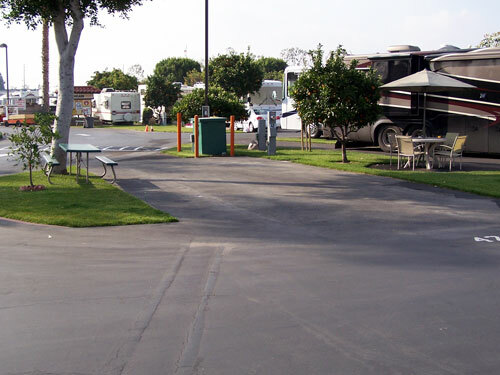 Each site is equipped with full hookup utilities including 20/30/50 amp electrical, water & sewer, asphalt surface with grassy area, and a table. 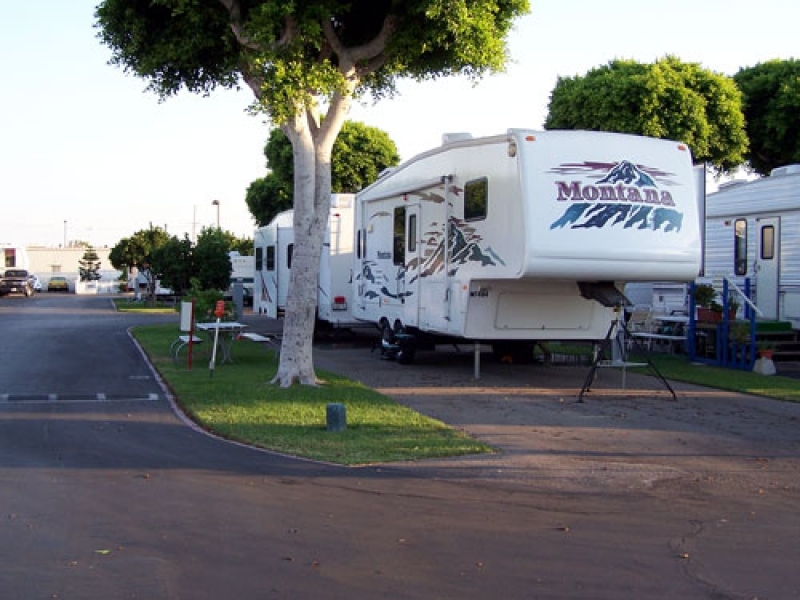 Wireless internet is available at each site. 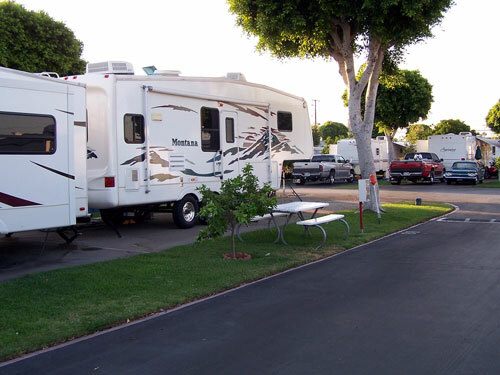 Cable TV requires a free converter box provided by our office. 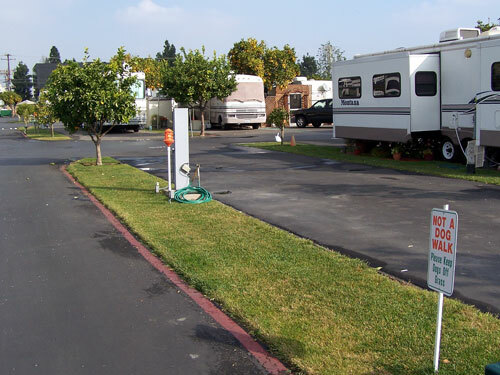 Pull-through sites are available. 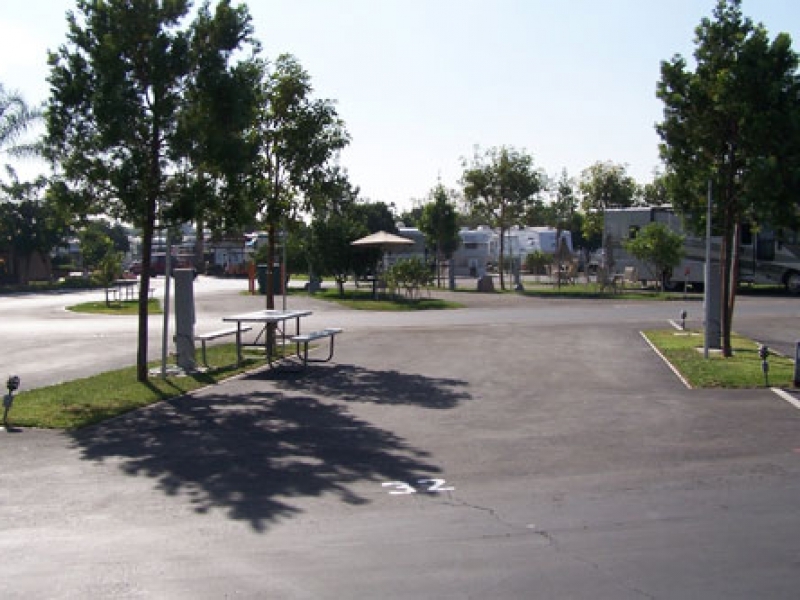 Sorry, we do not have tent sites. 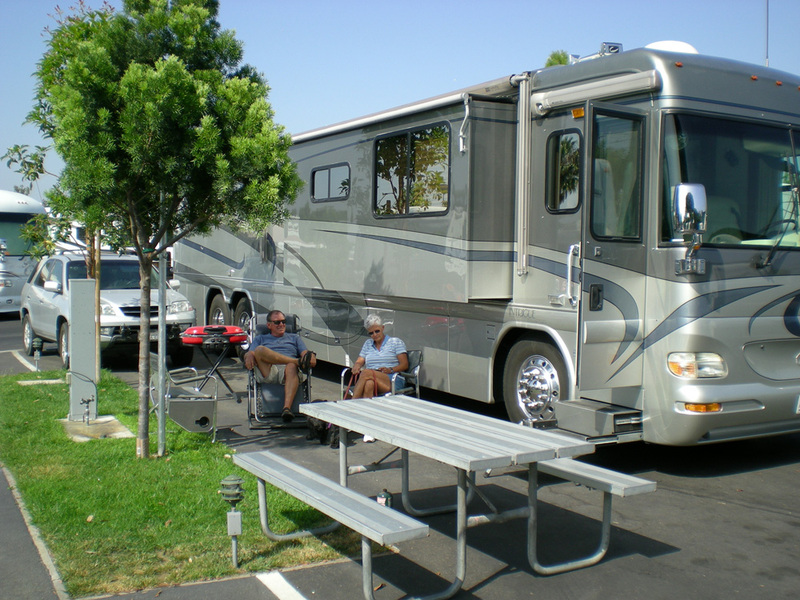 Wide extra large pull-thru sites to accommodate slide-outs, fully landscaped with a large grassy area, and upgraded patio table and chairs, with umbrella. 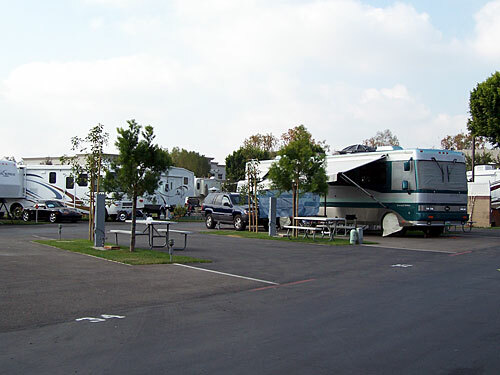 Mostly back-in sites, wide large sites fully landscaped with a large grass area, patio table & chairs. 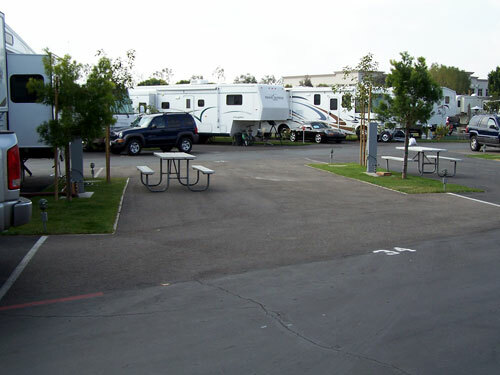 Wide pull-thru sites with a grass area and picnic table. 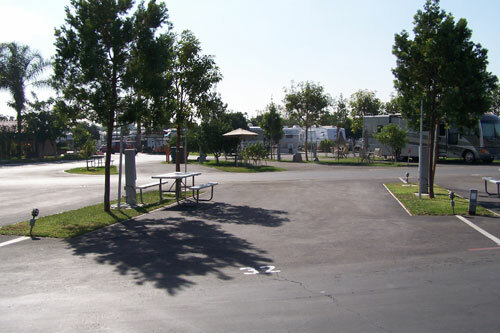 Back-in sites with a picnic table. 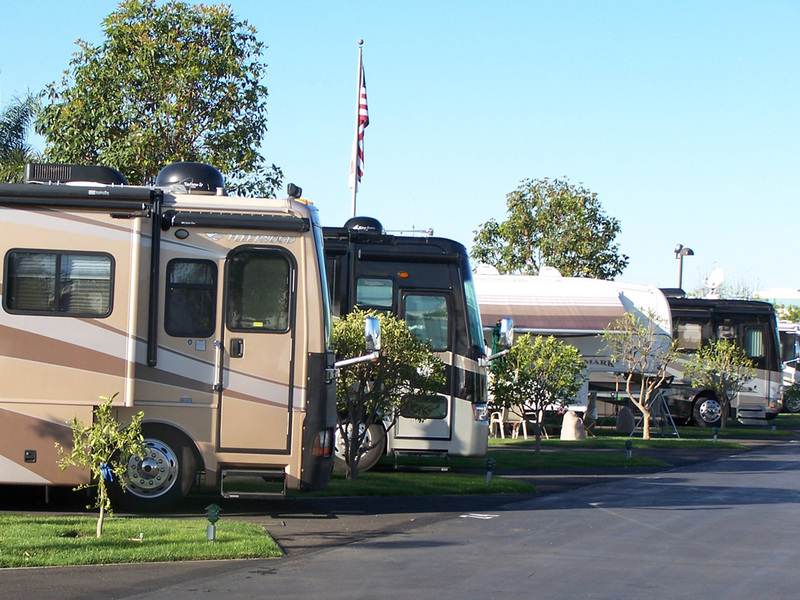 *All RVs must be self contained, equipped with electric and a bathroom, and manufactured by a recognized maker.